The VectorCAST embedded software testing platform is a family of products that automates testing activities across the software development lifecycle. The purpose of this section is to provide a high-level view of what the VectorCAST products do, how they interwork, and how you might best use them to fully meet your own software testing needs. DO-178C and ED-12C are equivalent standard definition documents (edited in issue B and C) with the title “Software Considerations in Airborne Systems and Equipment Certification” issued from RTCA (for U.S.) and EUROCAE (for European Community) that are the most common means of compliance for civil avionic systems. Both DO-178C and ED-12C outline guidelines used by organizations developing airborne equipment and certification authorities, such as FAA, EASA, and Transport Canada. One of the key requirements in the software verification process of DO-178C and ED-12C is achieving structural code coverage in conjunction with the testing of the highlevel and low-level software requirements. These documents classify software into five levels of criticality based on whether atypical software behavior could cause or contribute to the failure of a system function. The table below shows the relationship between the failure condition category and the structural coverage objective as defined the standards. The VectorCAST family of tools supports the creation and management of test cases to prove that the low-level software requirements have been tested. Additionally, the VectorCAST tools support the capture and reporting of structural code coverage data at all levels prescribed by DO-178C and ED-12C including Level A.
DO-178C and ED-12C specifies that qualification of a software tool is necessary when processes prescribed by the document, are eliminated, reduced, or automated by the use of a tool, without its output being manually verified. Because VectorCAST automates the process of validating low-level requirements and the process of recording and reporting on structural code coverage, it must be qualified when used as part of a DO-178C and ED-12C certification. Vector Software has developed an off-the-shelf qualification package that has been used on more than forty DO-178C and ED-12C certification projects. The International Organization for Standardization document 26262 (ISO 26262) provides a process framework and a procedural model for the development and test of safety critical electronic systems in motor vehicles. It is a derivative of the International Electronic Commission document 61508 (IEC 61508) adapted for the challenges met in Automotive. VectorCAST for ISO 26262 satisfies the recommendations for software testing and verification specified in Part 6 of the standard for software development. Recommended activities include both unit level and system level testing activities such as functional tests (requirement-based tests and partition tests) and structural coverage tests. The VectorCAST family of tools supports the creation and management of test cases to prove that the low level software requirements have been tested and is also useful for a variety of robustness testing activities such as range and out of bounds testing. Additionally, the VectorCAST tools support the capture and reporting of structural code coverage at all levels required by ISO 26262. The VectorCAST product family is a TÜV SÜD certified software tool for safety related development. The TÜV SÜD assessment and resulting tool certification of the Vector Software products offer development organizations the required evidence to demonstrate compliance with ISO 26262. The Vector Software IEC Certification Kit for VectorCAST provides documentation, certificates, and templates that help you use VectorCAST on projects based on the ISO 26262 standard. IEC 61508 is the international industry standard governing functional safety of programmable electronic systems. IEC 61508 certification confirms that a product or system complies with objectives set by the standard. IEC 61508 is comprised of seven (7) parts. In “Part 3: Software requirements” (IEC 61508-3), the document defines software requirements and sets the safety lifecycle for software, including validation and verification. The safety lifecycle begins with a risk analysis to determine the Safety Integrity Level (SIL) required. IEC 61508-3 highly recommends certified tools and translators for safety integrity levels of SIL-2 and higher. IEC 61508 recommends that software tools such as testing tools be qualified in order to provide evidence of software tool suitability for use when developing a safety-related item or element such that confidence can be achieved in the correct execution of activities and tasks required by IEC 61508. Such qualification must indicate that an erroneous result from the tool could lead to the violation of any safety requirement and that efforts were made to prevent or detect such errors. Vector Software provides an off-the-shelf tool qualification package that demonstrates that the VectorCAST tool output is accurate within embedded development environments. The VectorCAST embedded software test platform supports the creation and management of test cases to prove that the low level software requirements have been tested and is also useful for a variety of robustness testing activities such as range and out of bounds testing. Additionally, the VectorCAST tools support the capture and reporting of structural code coverage at all levels required by IEC 61508. The IEC Certification Kit for IEC 61508 includes certification artifacts and workflow guidance for projects using VectorCAST products. The VectorCAST product family is a TÜV SÜD certified software tool for safety related development. The TÜV SÜD assessment and resulting tool certification of the Vector Software products offer development organizations the required evidence to demonstrate compliance with IEC 61508. The Vector Software IEC Certification Kit for VectorCAST provides documentation, certificates, and templates that help you use VectorCAST on projects based on the IEC 61508 standard. A wide variety of medical devices incorporate embedded software. Some of these such as: X-ray scanners, heart rate, blood pressure and breathing monitors, are used for analyzing patients. Others such as defibrillator and medication pumps, are used to treat patients. In both cases, people’s health and safety depend on the medical software deployed being reliable, safe and bug-free. Medical devices sold in the United States must be approved by the U.S. Food and Drug Administration (FDA). The FDA has a formal process for device manufactures to follow for certification including guidelines for software validation. The International Electrotechnical Commission created the IEC 62304 standard. The standard, formulated to govern the requirements for medical software, describes the process that medical software must go through in order to be approved for use in Europe. The standard includes guidelines for testing any software components that are part of a medical device. IEC 62304 recommends that software tools such as testing tools be qualified in order to provide evidence of software tool suitability for use when developing a safety-related item or element such that confidence can be achieved in the correct execution of activities and tasks required by IEC 62304. Such qualification must indicate that an erroneous result from the tool could lead to the violation of any safety requirement and that efforts were made to prevent or detect such errors. The VectorCAST embedded software test platform supports the creation and management of test cases to prove that the low level software requirements have been tested and is also useful for a variety of robustness testing activities such as range and out of bounds testing. Additionally, the VectorCAST tools support the capture and reporting of structural code coverage at all levels recommended by IEC 62304. VectorCAST tools are successfully used by clients demonstrating due diligence with FDA software quality requirements. Whether your device is Class I, II or III, the VectorCAST tools provide a dependable and repeatable testing process for your medical device software development. VectorCAST provides intended use validation in the form of qualification documents. The qualification documents consist of Tool Operational Requirements (TOR) and Tool Qualification Data (TQD). TOR describes requirements for VectorCAST tools and TQD, the associated tests and test results. Coverage and test case reports are exportable to regular HTML or text for easy integration into product documentation. Software development plan Must contain contents to sections 5.1 IEC 62304:2006. The plan’s content list increases as the class increases, but a plan is required for all classes. Software requirements specification Software requirements specification conforming to 5.2 IEC 62304:2006. The content list for the software requirements specification increases as the class increases, but a document is required for all classes. Software architecture Not required. Software architecture to 5.3 IEC 62304:2006. Refined to software unit level for Class C.
Software detailed design Not required. Document detailed design for software units. (5.4). Software unit implementation All units are implemented, documented and source controlled (5.5.1). Software unit verification Not required. Define process, tests and acceptance criteria (5.5.2, 5.5.3). Carry out verification (5.5.5) Define additional tests and acceptance criteria (5.5.2, 5.5.3, 5.5.4). Carry out verification (5.5.5). Software integration and integration testing Not required. Integration testing to 5.6 IEC 62304:2006. Software release Document the version of the software product that is being released (5.8.4). List of remaining software anomalies, annotated with an explanation of the impact on safety or effectiveness, including operator usage and human factors. The European Standard EN 50128 (EN 50128: “Software for railway control and protection systems,” March 2001) provides a process framework and a procedural model for the development and test of safety critical electronic systems in railway systems. It is a derivative of the International Electronic Commission document, IEC 61508 adapted for the challenges met in railway systems. EN 50128 takes into account the five software integrity levels (SIL) that range from the very critical (SIL-4), such as safety signaling to the non-critical, such as management information systems (SIL-0). EN 50128 recommends that software tools such as testing tools be qualified in order to provide evidence of software tool suitability for use when developing a safety-related item or element such that confidence can be achieved in the correct execution of activities and tasks required by EN 50128. Such qualification must indicate that an erroneous result from the tool could lead to the violation of any safety requirement and that efforts were made to prevent or detect such errors. The VectorCAST embedded software test platform supports the creation and management of test cases to prove that the low level software requirements have been tested and is also useful for a variety of robustness testing activities such as range and out of bounds testing. Additionally, the VectorCAST tools support the capture and reporting of structural code coverage at all levels required by EN 50128. The VectorCAST product family is a TÜV SÜD certified software tool for safety related development. The TÜV SÜD assessment and resulting tool certification of the Vector Software products offer development organizations the required evidence to demonstrate compliance with EN 50128. The Vector Software IEC Certification Kit for VectorCAST provides documentation, certificates, and templates that help you use VectorCAST on projects based on the EN 50128 standard. VectorCAST version 2019 sports a brand-new look to many of the VectorCAST HTML reports. The new reports use a cascading style sheet (.css) for formatting. The user is invited to create their own style sheet to set custom colors and fonts. VectorCAST version 2019 contains a new test-only symbolic constants feature that allows the user to supply constants stored in a portable file (.xml) rather than defined in the source file. This feature helps make test cases more portable by replacing hard-coded scalar values with symbols that can be controlled independently of the tests. Improved test readability. Replacing hard-coded values with symbolic names allows the tests to be understood more easily, since you might see: maximumSpeed in place of value 200, for example. Decreased test maintenance. Using symbolic names allows you to easily change the value of the symbol once rather than changing it in every test where the value is used. Better support for variant testing. Symbolic names can be set to different values for different test contexts, which allow maximumSpeed to have a different value for one customer configuration, compared to another configuration. VectorCAST 2019 now supports the capability to display and graphically visualize control flow and code coverage. VectorCAST supports a wide range of industry-standard C, C++, and Ada compilers. Certification kits for aerospace, railway, industrial, automotive, and FDA compliance. The VectorCAST Tool Qualification Kit for DO-178B and DO-178C contains tool qualification documentation, test cases, and procedures that let you qualify VectorCAST tools on projects based on the DO-178B/ED-12B or DO-178C/ED-12C standard. The kit contains tool qualification plans, tool operational requirements, and additional materials required for qualifying software verification tools. With the kit, development organizations can streamline certification of their embedded systems developed using VectorCAST. The VectorCAST IEC Certification Kit for IEC 61508, EN 50128 and ISO 26262 provides documentation, certificates, and templates that help you use VectorCAST on projects based on the IEC 61508, EN 50128 and ISO 26262 standards. The kit includes certificates and reports from certification authority TÜV SÜD that are based on documented, application-specific verification workflows. The VectorCAST IEC Certification Kit offers organizations the required evidence to demonstrate compliance with IEC 61508, EN 50128 and ISO 26262. IBM Rational ClearCase offers complete software configuration management (SCM) with version control and global development support that provides sophisticated version control, workspace management, and parallel development support and build auditing to improve productivity. Polarion Software develops and markets web-based solutions for Requirements Management, Test Management, Quality Assurance (QA), and ALM that provide full traceability and transparency throughout the product lifecycle. Polarion solutions improve the efficiency of product development and help organizations identify and mitigate risks, improve quality, and achieve compliance and quality standards. PTC Integrity is Application Lifecycle Management (ALM) software. It empowers teams to manage product and system requirements, enable closed-loop product validation and accelerate global software development. 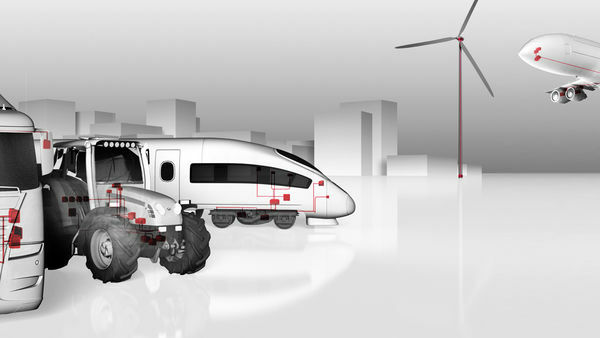 PTC Integrity enables organizations to solve the complexity involved in developing today’s products and applications. Jama Software helps QA professionals link test cases to requirements, run test plans and log related defects to ensure test coverage and improve quality. Jama Test Management is tightly integrated with its requirements management and collaboration features to create seamless interactions between business analysts and product managers doing product planning with testers and engineers doing quality assurance. codeBeamer ALM is a holistically integrated collaborative Application Lifecycle Management platform. Its feature sets along the lifecycle are tightly integrated from requirements all the way through to testing and release, and let you efficiently align and integrate all teams and processes. As a highly Agile, flexible, and scalable tool, codeBeamer ALM easily adapts to any development process or toolchain, whether you're using a Waterfall, Agile, or scaled Agile method. After a disruption-free rollout, it helps streamline all development processes to enable you to build better products faster. IBM Rational Rhapsody provides collaborative design and development for systems engineers and software developers creating real-time or embedded systems and software. Rational Rhapsody helps diverse teams collaborate to understand and elaborate requirements, abstract complexity visually using industry standard languages (UML, SysML, AUTOSAR, DoDAF, MODAF, UPDM), validate functionality early in development, and automate delivery of innovative, high quality products. Simulink is a block diagram environment for multi-domain simulation and Model-Based Design. It supports system-level design, simulation, automatic code generation, and continuous test and verification of embedded systems. Simulink provides a graphical editor, customizable block libraries, and solvers for modeling and simulating dynamic systems. Artisan Studio modeling tool provides complete support for OMG UML and SysML in a single, integrated toolset. You can create consistent, high quality models for systems and software engineers to communicate requirements, design decisions and alternatives across the entire team, regardless of their location. Esterel SCADE is a software development solution that enables system and software engineers to graphically design, verify, and automatically generate critical systems and software applications with high dependability requirements. Esterel Technologies SCADE product solutions easily integrate, allowing for development optimization and increased communication among team members. IBM Rational Team Concert Helps companies build better software and products with an all-in-one Agile development environment for teams, which includes agile, formal and hybrid planning and reporting, all on a common platform. Rational Team Concert provides collaborative change management capabilities. These capabilities are available separately and can be integrated with popular source control systems. Rational Team Concert helps teams collaborate for faster software delivery. Polarion REQUIREMENTS is a unified collaborative solution encompassing both Requirements Management and Test Management in a single web-based platform. Forensic level artifact linking and fully automated history guarantee traceability, accountability, transparency and easier compliance with regulations and standards. IBM Rational DOORS is requirements management software optimized for the needs of complex and embedded systems development. Rational DOORS enables you to capture, trace, analyze and manage changes to requirements and helps you to demonstrate compliance to regulations and standards. IBM Rational RequisitePro is a requirements management tool. Rational RequisitePro helps project teams to manage their requirements, to write good use cases, to improve traceability, to strengthen collaboration, to reduce project rework, and to increase quality. Reqtify is an easy to use interactive tool for managing requirements, traceability, and impact analysis across the entire hardware and software development lifecycle. The Reqtify tool can capture a wide variety of data and file formats from multiple sources. The customizable traceability of PTC Integrity provides a single source of truth that keeps all stakeholders informed of changes to requirements throughout the development process, fostering collaboration between engineering disciplines and roles. Developers and other stakeholders can easily assess and address the impact of changes before they are implemented, even across product lines, to increase agility, improve product quality and reduce product delivery risk. Jama Software offers a robust solution for requirements management and end-to-end product delivery. With Jama tools as your central hub for collaborative requirements management, your product teams can capture, discuss and manage all your requirements in one place and connect everything together with end-to-end traceability and impact analysis. codeBeamer ALM is a collaborative requirements management & ALM tool that offers robust features throughout the entire development lifecycle. Specify, manage, and trace the coverage of requirements throughout the process of development. codeBeamer offers gapless end-to-end traceability, collaboration, code and test coverage whether you're using Waterfall, Agile, or a scaled Agile method. Easy to integrate into any tool environment, codeBeamer is a disruption-free, fast, and scalable platform of collaboration to align and streamline your development processes. Building/testing software projects continuously, just like CruiseControl or DamageControl. In a nutshell, Jenkins provides an easy-to-use so-called continuous integration system, making it easier for developers to integrate changes to the project, and making it easier for users to obtain a fresh build. The automated, continuous build increases the productivity. Simics is a full system simulator helping companies increase their productivity by transforming software development processes to be faster and more efficient. When used in combination with VectorCAST, developers can create a Massively Parallel testing infrastructure that ensures testing is completed in minutes rather than days. VectorCAST and Simics enable tests to be easily run by every developer on every source change, resulting in a seamless solution for deploying high quality hardware and software applications. The VectorCAST integration with Simics sits on top of a Continuous Integration server, such as Jenkins, controlling the test dispatch to a pool of Simics targets. By adopting this integrated approach using Simics, teams can overcome a variety of testing challenges arising from increased test complexities or limited hardware. This provides a single point of control for testing, allowing engineers to quickly and easily test an entire device. The integrated toolchain is of particular value to engineers working with complex or safety-critical applications with long life-cycles. Delivering JIRA issues – from code to customers, Bamboo does more than just run builds and tests. It connects issues, commits, test results, and deploys so the whole picture is available to your entire product team – from project managers, to devs and testers, and sys admins. The VectorCAST integration to Gimpel Software, VectorCAST/Lint, utilizes the powerful PC-Lint and FlexeLint analysis engine from Gimpel Software and extends it to support the extensive list of embedded compiler environments currently integrated with the VectorCAST dynamic testing product line. Coverity Static Analysis Verification Engine (Coverity SAVE), helps developers find hard-to-spot, yet potentially crash-causing defects early in the software development life-cycle, reducing the cost, time, and risk of software errors. The Coverity SAVE static analysis tool finds defects in your code that are difficult, if not impossible, to find by other means. Polyspace is a formal methods based static code analysis tool that can prove that software is safe from overflow, divide-by-zero, out-of-bounds array access, and other run-time errors. Polyspace has been certified by TÜV SÜD and can be used to certify safety and mission critical C/C++ and Ada code for standards such as DO-178, IEC 61508, and ISO 26262. QA•C++ and QA•C provide advanced static analysis and sophisticated bug detection for the C (QA•C) and C++ (QA•C++) languages through an advanced dataflow solver engine, compliance to coding standards, and metric analysis and display. TÜV SÜD has certified QA•C and QA•C++ as “fit for purpose” for safety-related development under ISO 26262 and IEC 61508. Klocwork Insight is a static code analysis tool used to identify quality and security issues in C, C++, Java, and C# code. Klocwork Insight combines on-the-fly analysis, drag & drop build reporting, and cross-project impact analysis to help developers create more secure and reliable software. The product includes numerous desktop plug-ins for developers, an architecture analysis tool, and metrics and reporting. VectorCAST is designed to support any commercial-quality real-time operating system (RTOS). The VectorCAST Runtime Support Package VectorCAST/RSP, provides a full-featured integration that allows for the download, execution and result capture using the built-in networking facilities of the target RTOS. The table below is a sample of the RTOSes supported by VectorCAST. These RTOSes are provided by a number of vendors and are available under various commercial or open source terms. Please visit the providers’ website for more information. Vector solutions for software testing, system testing, field testing and network stimulation.